Do goldfish need light? Well, how would you like to be kept in the dark?! Goldfish definitely do need light! Like most animals, goldfish would not be healthy if permanently kept in dull or dark conditions. Unlike some fish that live deep in the sea, wild goldfish live in lakes and rivers that are often illuminated by relatively bright daylight. The lighting conditions in your aquarium should replicate this natural environment as closely as possible. What if goldfish don’t get enough light? 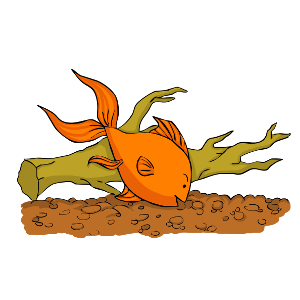 If your goldfish tank is kept in a place that does not have enough light then you may notice your fish’s color start to fade. Goldfish have even been known to turn an unhealthy white color when not getting the light they need! Changes in light levels also let your goldfish know whether it’s currently day or night. A lack of light – and therefore a lack of a day and night cycle – will affect how well your goldfish sleeps, how much they eat, and even their temperament and behavior. To add light to your fish tank, purchase an aquarium light. Can goldfish have too much light? While it is important to make sure that your goldfish gets enough light… you also have to make sure they don’t get too much light! 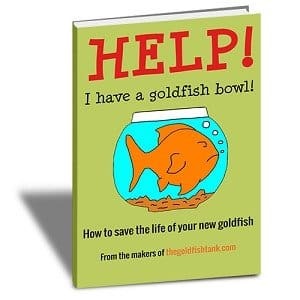 You should never place a goldfish tank in direct sunlight. The water could get too hot and the strong light will encourage the growth of algae, which will cloud your water. 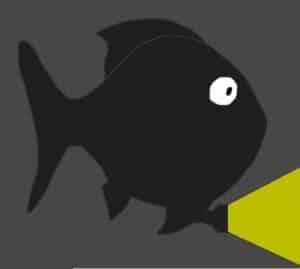 Also, just like too little light could confuse your goldfish into thinking it’s always night time, too much light will make your goldfish think it’s always day time, and that will throw off their sleeping, eating and behavior just as badly. Do I need an aquarium light for my goldfish tank? If your tank is in a poorly lit area – or if you want to grow live plants – then it would be a good idea to include a light in the hood of your aquarium. Click here to browse aquarium lights on Amazon. Some, like this one, adjust to fit a variety of tank sizes. If you do add a light to your aquarium then switch it off at night to replicate natural day/night cycles. Like humans, goldfish prefer to sleep in the dark.